Posted October 5, 2018 by Astrid Mallet & filed under Clients, Event, Lifestyle. What would you do if you knew you could not fail? What would you do with your life if you had all the time and money you needed? 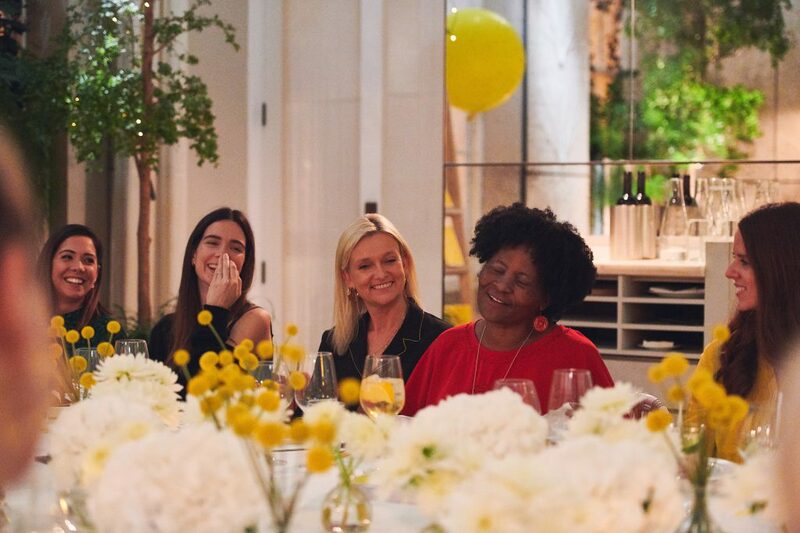 This Monday we were lucky enough to host a dinner with the founder of kikki.K, Kristina Karlsson, as well as Oprah Winfrey’s all-time favourite guest, Dr. Tererai Trent – celebrating Kristina’s first book ‘Your Dream Life Starts Here’. Kristina believes that no dream is too big or small and she encourages readers to stop and dream without limitation. Dreaming is something that she has always been passionate about, but it wasn’t until she wrote down a list of what she wanted out of life that she allowed herself to dream big and start to create her dream life. It was a big dream that was the first step on her journey to build kikki.K into what it is today. She now dreams to inspire 101 million people around the world to create, write down and start actualising three dreams of their own. 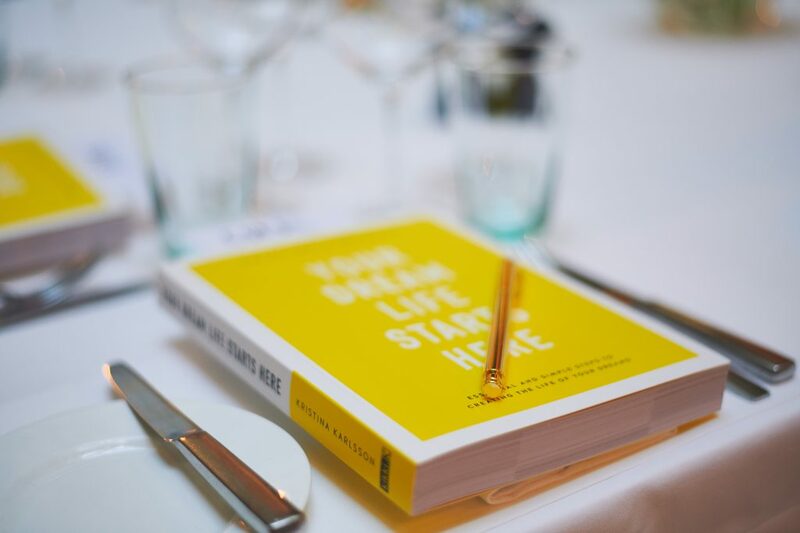 In her book she shares her personal experiences, including many notable personalities such as Arianna Huffington, Richard Branson and Stella McCartney who among others have lent their support of Kristina’s vision to create a Dream Life movement. “Once taught, dreaming without limitation is so simple, so fundamentally powerful and has been proven through the ages, as the common starting point for people who transform the future, for themselves in big ways and small,” Karlsson says. Every purchase of Karlsson’s book will see a $1 donated to Tererai Trent International – a foundation established by Dr Tererai Trent. Funds raised will build on the generous foundational support she received from Oprah Winfrey and support Tererai’s dream to provide universal access to quality education for children, regardless of their gender or socioeconomic backgrounds. Dr. Trent says that if you want something so badly and you have a vision to change your life, when you write it down it becomes ingrained in your thoughts. “It can be manifested because your mind and your thoughts and your feelings become focused on that vision. Dreaming is so powerful and I have no doubt Kristina’s book will inspire millions and make a big difference in the world. I am so proud to partner with Kristina and kikki.K, and am so grateful for their contribution to my foundation,” Trent says. The #PushTEAM has been dreaming in the Push PR HQ this week – inspired by Kristina’s UK visit. Read below what we are dreaming about at Push! Listen to Kristina’s Dream Podcast here!